Looking for an Apartment to rent in Los Angeles? Currently, the median rent for a one-bedroom apartment stands at $2,300 while a two-bedroom median rent price is at $3,200. Comparing that to the current Metro Report for 2018, Los Angeles falls on the higher spectrum of apartment costs within California. But that doesn’t mean that you can’t get a great apartment in LA that will fit your budget and lifestyle. Want to see more? let’s take a look first at some great units, many which are available as both one and two-bedroom options. A great location for students and young professionals alike. Conveniently located across the street from Cal State University and within steps of the Fashion Center and the Botanical Gardens. With its easy access to the 118, 405, and 101 Freeways, you’ll be able to go anywhere in Northridge you please. 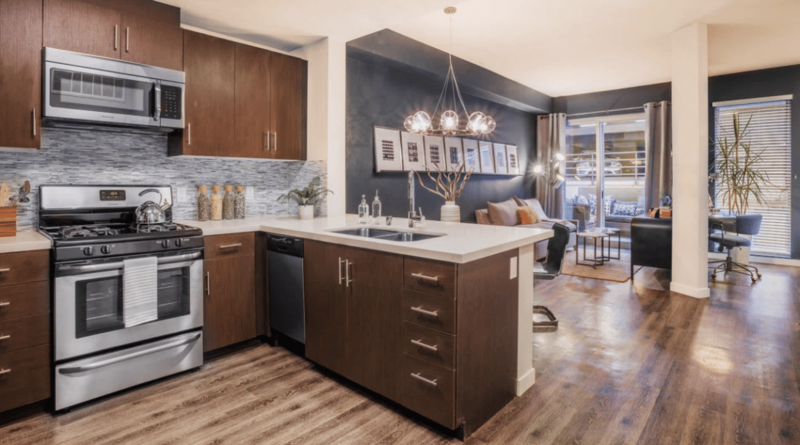 It has an ideal gourmet kitchen for those who love to cook, you will be surrounded in luxury with its granite countertops and appliance package. Amenities include swimming pool, clubhouse (with free WiFi) and a billiard or media room. Furry pets welcome and have great access to our on-site dog park. Price for a single bedroom falls in just around $2,000, but two-bedroom units are also available. If being close to shopping, restaurants, parks, and clubs is your thing, then this will be a great location for you. 9-foot ceilings give you that loft feeling, while a large kitchen island will give you plenty of space to spread out and entertain. Each unit has its own assigned and covered parking spot plus access to your own storage unit. Pets are allowed, but a monthly pet rent is expected, plus a deposit is required; prices vary depending on the pet. Enjoy a controlled building access, plenty of amenities, and a community courtyard. Both one-bedroom and two-bedroom options are available. Located in Downtown LA and in Chinatown this unit will give you a bright, airy space to live in. Includes in-unit laundry and open concept living. Pets are welcome, 2 per home, but deposits and monthly payments are required. Building amenities include access to on-site fitness center, garage parking, storage, and a resident’s lounge. With a walk score of 92, you will have easy access to most everything you could possibly need. 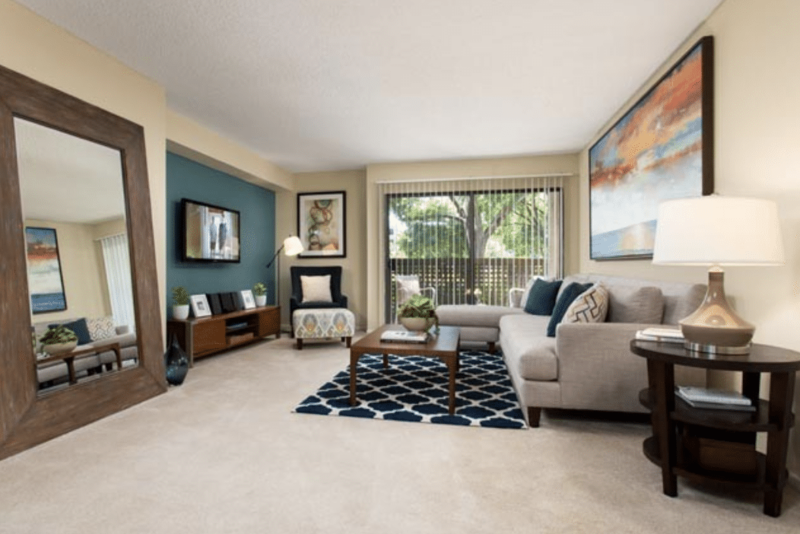 Have your choice between a one-bedroom and a two-bedroom unit. This up-and-coming area right next to the business district offers access to shopping, restaurants, and Warner Center Park. Enjoy access to their outdoor pool, a 24-hour fitness center, resident’s lounge, and outdoor space with a Koi pond. 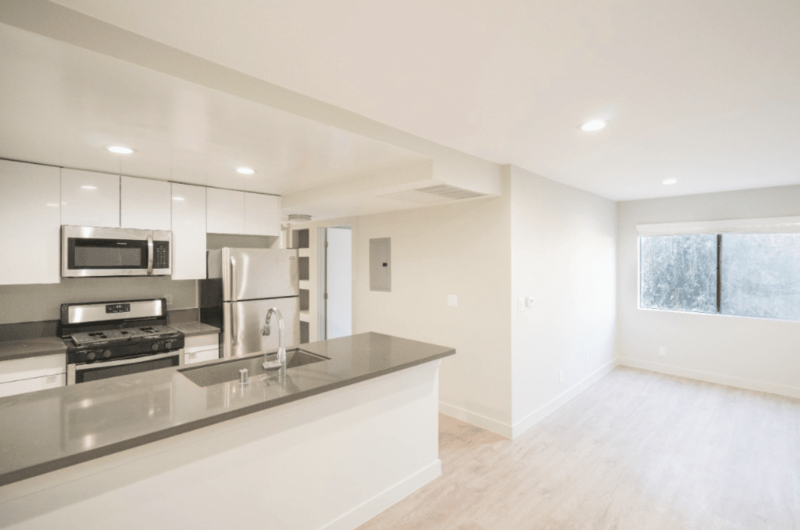 Each apartment has in-unit laundry, a bright kitchen with plenty of cupboard and counter space, and a price that falls below the median rent for an LA one-bedroom apartment. You can choose between a one-bedroom or a two-bedroom apartment. 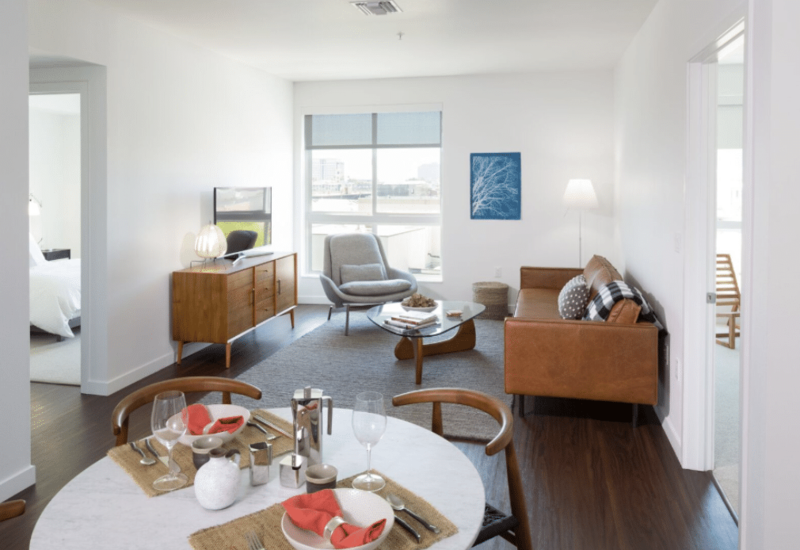 Available as both single or double bedroom units and located near downtown LA, these units offer the renter open-concept kitchens and modern and spacious living space with 9-foot ceilings. Access your private balcony off of your living room and relish the use of the redesigned decks, pool, and clubhouse. Enjoy hardwood flooring throughout, a pet-friendly building with a maximum of two per unit, deposit and monthly fee required, and a concierge service. Walking distance to Koreatown, Macarthur Park, and local schools. Prices average the median LA cost for both one-bedroom and two-bedroom units. Why live in a one-floor apartment when you can live in a mid-city two-bedroom that covers over two stories? Includes top-of-the-line flooring, stainless-steel kitchen appliances, and bright walls throughout. On the main level is the kitchen and dining area while located on the upper level you will find two bright bedrooms with ample closet space. Pets are welcome in this over 900 square-foot unit, and an on-site parking spot is included as is on-site laundry. Coming in drastically under the median price for a two-bedroom apartment in LA at $2,295 a month. 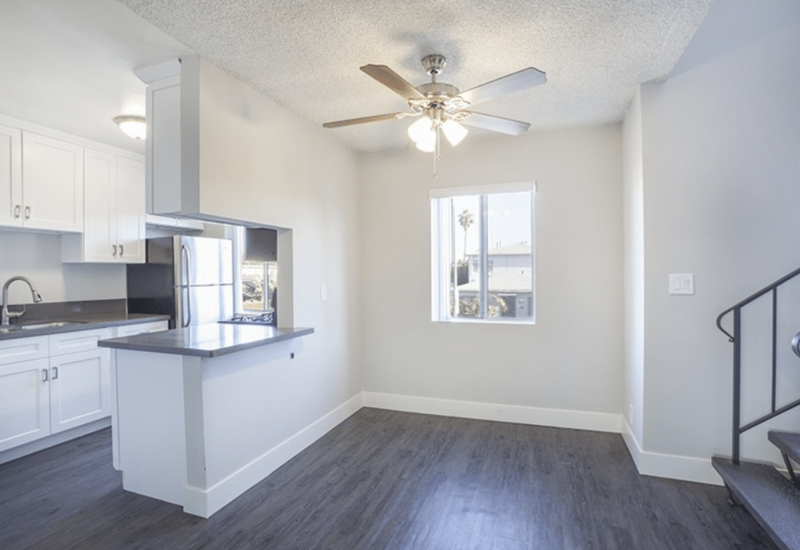 Located on the Westlake and Echo Park border, this two-bedroom unit offers plenty living space with its hardwood floors throughout, a decorative fireplace, patio doors, and open concept living room/kitchen layout. The unit includes a master bedroom with an en-suite bathroom, an in-unit laundry, and bright, sunlit rooms. With a walk score of 88 and a “pets allowed” policy you will enjoy this East-side location. East Hollywood – North Kenmore Ave. 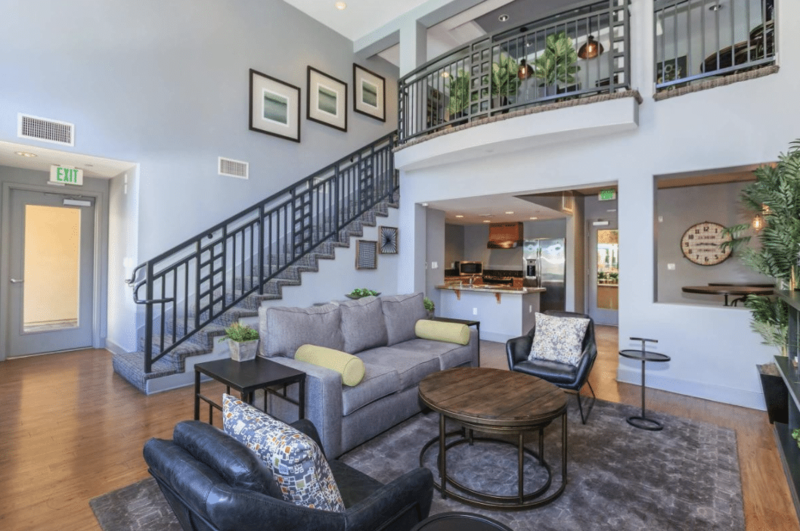 This pet-friendly building offers a secured entrance gate and garage, easy access to Metro, Sunset Junction, and Griffith Observatory. The unit includes new stainless-steel appliances, new central A/C unit, in-unit laundry, and 2 parking spaces. This bright and airy apartment falls well beneath the median two-bedroom apartment cost for LA at only $2,395 a month. 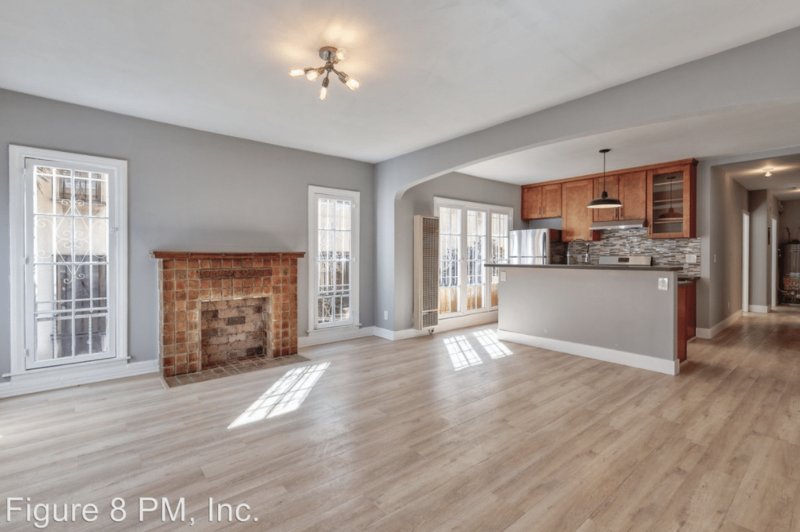 Walking distance to Barnsdall Art Park, transit lines, and local surrounding schools. Don’t miss out on these great opportunities to rent in Los Angeles, find some more great apartments here. The post Top 8 LA Apartments Deals appeared first on The Zumper Blog.